Thanks for coming over to read my review of the Nikon Forestry Pro laser rangefinder. This particular model is almost a one-of-a-kind (it’s certainly the only model I’ve come across with this particular feature set). Not only will the Forestry Pro provide range information to your target, but it will also determine a three-point measurement that calculates the height of an object by comparing two views of that target with the angle of each shot. Let’s see how well it stacks up. I wish I could say that the Forestry Pro comes with everything you need to use and preserve your investment, but it doesn’t. All I found in the box was the rangefinder itself and the battery; there was no carrying case or handstrap. This device will provide you with measurements in feet, yards, or meters, up to 550 yards. I was hoping it would have greater range than that, but testing the limits of the device proved the stated specifications pretty much right on. Accuracy is also less than average, at plus or minus one yard up to 300 yards, or plus or minus 0.6 percent beyond 300 yards. Bear this in mind: when you’re trying to get a range to something smaller and less reflective than a large structure, you won’t get accurate results from as far away. I found I was able to use the Forestry Pro to get ranges on deer from up to 200 yards, but no further than that. How Easy is the Forestry Pro to Use? Nikon advertises this as having one-button operation, but there are really two buttons. Quite frankly, I prefer it that way. You’ll use one button to power on the device and fire the laser, but changing modes has been broken out to a separate button. This, in my opinion, makes operation of the device much simpler. Nikon doesn’t seem to like using its fully multicoated optics on rangefinders, and the Forestry Pro is no exception. The optics are only multicoated, which reduces the unit’s light transmission capabilities somewhat. More on that later. The Forestry Pro includes a 21mm objective lens. The device’s field of view is pretty short compared to other models, a mere 315 feet from 1,000 yards. Eye relief is also a bit short, 18.2mm, but the Forestry Pro does offer a bit of diopter adjustment. Like most rangefinders, the Nikon Forestry Pro uses a lithium CR2 battery, and one was included in the box. This type of battery is still a bit rare and hard to find, so make sure you have a spare. Power consumption isn’t the greatest, since the external display is always active and the device stays powered on for 30 seconds after inactivity. Even so, I’ve found that a single battery will last me at least six to eight months. This is far from being a simple rangefinder. In fact, it’s one of the most complicated ones I’ve found, simply because of the number of features it includes. You get Target First as well as Distant Target Priority mode, but what’s really impressive is the dual display. The internal display provides actual distance in half yards or feet at less than 100 yards, and in yards or feet beyond that. You’ll also get horizontal distance with height of 0.2 yards or 0.5 feet below 100 yards, or every yard or foot beyond that. Finally, the internal display offers you angle information of 0.1 degrees below 10, and individual increments from 10 to 89 degrees. The external display, located on the side of the device, will give you range of every yard or foot, horizontal distance and height of every 0.2 yard or 0.5 foot, and angle information of each 0.1 degree of angle. What’s the Light Gathering Capability Like on the Nikon Forestry Pro Laser Rangefinder? 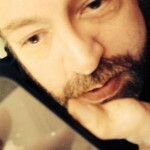 Since the optics are just multicoated, transmittance isn’t as great as I’d like. With that said, this rangefinder is useful as a monocular in dawn and dusk lighting conditions, but you won’t be able to read the internal display or the external display, unless you shine a flashlight on the latter. Not exactly superb for hunting. The view through the eyepiece is superb, with plenty of contrast and detail. Focus is fast and reliable. Nikon never intended this device to take the place of your spotting scope or monocular, so don’t expect it to. With that said, I’m a big fan of the model’s HYPER READ technology, which lets you get an almost instant range reading pretty much every time. Nikon builds sturdy products, and the Forestry Pro is no exception. The housing is rubber armored for shock absorption, and the device offers an optics chamber that is both O-ring sealed and nitrogen-purged. That way, you get a device that is both fogproof and waterproof. The battery compartment, mind you, is only water resistant, so don’t go dunking your rangefinder in the river or lake. However, it should be able to handle a downpour or drop into a shallow puddle without blinking an eyelash. 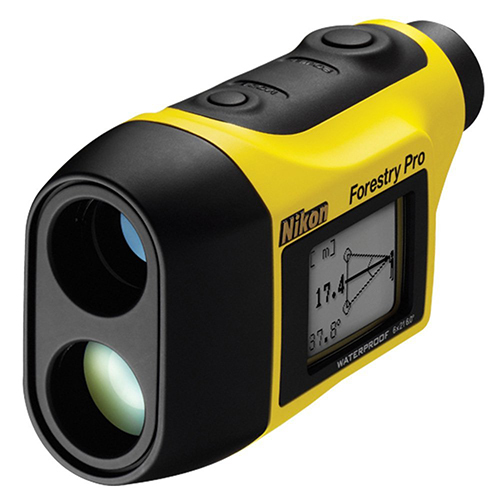 Thanks for reading my review of the Nikon Forestry Pro laser rangefinder. This is a good little device with some unique features, but it suffers from a lack of range and limited usefulness in low-light conditions. With that said, it’s still a solid product with plenty of potential usefulness.